Welcome to this lovely, vibrant Church. 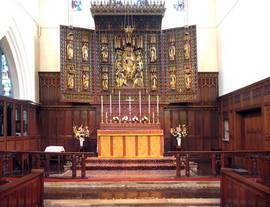 Firmly in the Catholic tradition of the Church of England, St Peter's is a parish church located in the heart of busy Clapham High Street. We are a small but friendly congregation, and you will be assured of a warm welcome. As is now well-known, Canon David Isherwood is retiring as Rector of Holy Trinity and Vicar of St Peter’s, Clapham, at the end of June (although his final service will be held on Trinity Sunday, 31 May). Since the announcement of his retirement, the PCC of St Peter’s has met the Archdeacon of Lambeth, the Ven. Simon Gates, and the chairman of the diocesan patronage board, Canon John Thewlis, to discuss the future pastoral arrangements for St Peter’s Church and Parish. Various possible options have been considered thoughtfully and prayerfully. The PCC, meeting in December, unanimously carried a resolution authorising the Churchwardens to take the necessary steps to secure the dissolution of the United Benefice of Clapham Holy Trinity and St Peter. In so doing, it expressed confidence in the future and expressed thanks to Holy Trinity for their help. Since this meeting, the Archdeacon has begun the legal process. The expectation is that, on Canon Isherwood’s retirement, the Bishop will ‘restrict’ the living. He will then seek to suspend presentation so that a new Benefice of Clapham St Peter can be created, with the Bishop of Southwark as the Patron. This latter process requires consultations in the diocese and by the Church Commissioners. Provided there are no objections, this process should not take long. We hope and pray that no obstacles will be placed in the way of the pastoral scheme, as these would inevitably lead to a substantial delay in the appointment of Canon Isherwood’s successor not only at St Peter’s but also at Holy Trinity, and to a period of uncertainty for both congregations. If all goes well, the new pastoral scheme will come into effect in September. The Archdeacon and the Churchwardens/PCC of St Peter’s will be working together to find a suitable Non-Stipendiary Priest to take care of St Peter’s and develop the mission here in accordance with the pastoral needs of the parish and its unbroken Anglo-Catholic tradition. Appointment of one incumbent to cover both churches would entail a complicated person specification to meet the differing needs of the parishes, and would require the agreement of the diocesan patronage board and the representatives of both parishes. 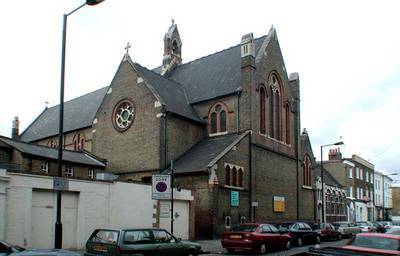 Please pray for St Peter’s and our neighbours at Holy Trinity as this process goes forward. Our website was designed and is hosted by Clark Web Development.